How to Establish Paternity in Florida? When you give birth in Florida, and you’re married, the law makes the assumption that the husband is the natural father of the baby. However, if the mother is not married at the time, she has to take formal steps to establish who the baby’s biological father is. This can be done voluntarily by both parties or through the assistance of a court order. It’s important for all parties to realize why establishing paternity in Florida is necessary and what the ultimate benefits are. There is an obvious emotional benefit for the child to have two parents involved in his or her life, but there are also some legal benefits to consider. 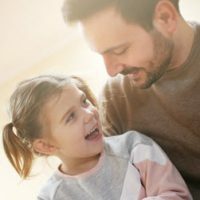 Establishing paternity can provide benefits to the child, like health insurance coverage, inheritance rights, and/or potential government benefits if the father is disabled or a military veteran. If the parents are not on good terms, the father may need to involve the courts to get visitation and parenting time. However, you cannot proceed with that until paternity is officially established. It’s important to understand the difference between the biological versus the legal father. A biological father is the one who fathered a baby, but to be a legal father, you have to establish that through marriage, a court ruling, or adoption. When a couple is married, the husband is automatically deemed to be the legal parent. If the parties are unmarried, but agree on who the child’s father is, they can opt to file a Voluntary Acknowledgement of Paternity form. When they sign this form, both the mother and father are swearing under oath that this man is the father of the child in question. The process is known as an Affidavit of Paternity and it will not be binding until 60 days after the Acknowledgement of Paternity form is signed. Once 60 days have passed, neither party can set aside or revoke the form. Unless you can show the form was signed under duress, it’s highly unlikely the acknowledgment form will be set aside. Another method of establishing paternity is through genetic testing. When a man denies he fathered a baby or the parents are fighting, it may be necessary to establish paternity through genetic testing. In some scenarios, the Florida Department of Revenue can assist in having all parties tested. The most common method of genetic collection is a swab of the inner facial check, rather than drawing blood. If the results show the man is the father, the Department of Revenue will issue an Administrative Order of Paternity. They will also send a notification to the Florida Office of Vital Statistics so the father’s name can be added to the child’s birth certificate. In the event the alleged father doesn’t agree with the results or wants to initiate a custody case, he needs the services of a skilled Boca Raton family law attorney. If the test proves he is the father but he doesn’t want to pay, the mother will need to initiate a child support action. The Law Offices of Schwartz | White have years of experience handling child custody and child support matters. Contact our office today at 561-391-9943 to schedule a consultation.